The new render for LG’s new V30 smartphone shows that it can make Samsung Galaxy S8 series and the new iPhone 8 hit the panic button. I have never been a fan of Samsung until they released the Galaxy S8 series, which I think is the most good looking smartphone ever. The only qualm that I have with the S8 series is the placement of the fingerprint scanner at the back of the phone. The awkward placement is something I don’t really fancy. I know this has been a irritation for others as well but we tend to ignore that because, why bother? iPhone 8 is still a wait until September but the renders shows a potential beautiful phone in the making. The only downside is that you will have to sell one of your kidneys to buy it. And now we have a new flagship showed up in its latest render. The LG V30 looks amazing. Most noticeable difference compared to Galaxy S8 is the rear fingerprint scanner placement. It is NOT in the awkward position like the S8. Placing it in the center makes sense. I would definitely prefer it to be in the rear center rather than at the sides. And the placement of the dual lens camera with the LED flash at the side looks awesome. LG V30 has a much cleaner look than the S8 (and probably Note 8 as well). As for the specifications, rumour has it that it will come with a 6.0″ 1440p P-OLED display with 18:9 screen ratio and curved edge display. The dual camera setup is kind of obvious, shooting at 16 megapixels, f/1.6 aperture size for great low light shooting and the other one is a 13 megapixels wide-angle camera. It will also come with a USB-C type connector for fast charging. 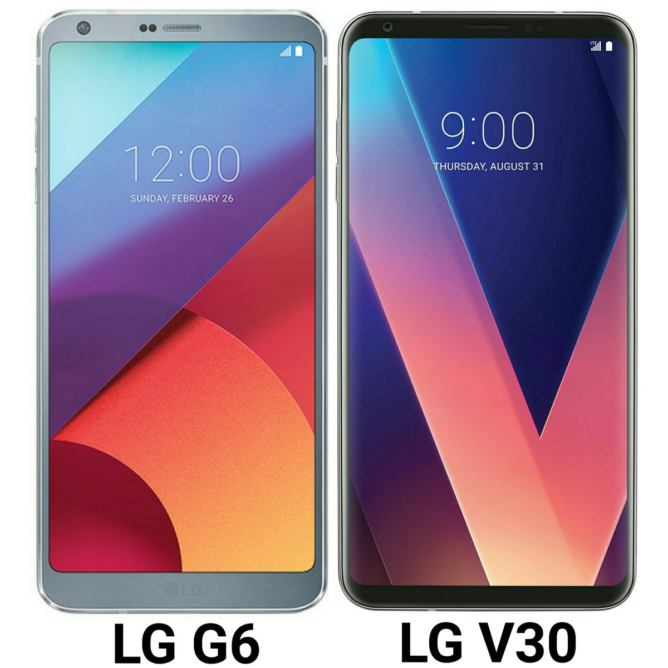 The V30 has a much smaller bezel compared to the older LG G6, which means the LG logo at the bottom will now be at the back. The LG V30 will be powered by Qualcomm Snapdragon 835 and to have at least 64GB of internal space and with 6GB of RAM. These specifications are still based on rumours but it is most likely to be legit. As for now, we will have to wait for another 2 weeks or so for LG’s big reveal.